That for India to grow, development is imperative isn’t being contested. However, for any developing country, the growth has to be in sync with integral variables that, simply, cannot be compromised. Variables such as environment or human rights which, in view of hurtling developments, ultimately become casualty. Also, in the game of numbers on which democracy rests, it’s the weakest - those with the least numbers; those with the softest voices; those with meagre means or on the lowermost rungs of a social hierarchy who pay the highest price. In India, where a 7,517 km coastline provides livelihood for millions disunited by language, culture of political leanings, the newest CRZ Notifications 2018 have sounded the death knell. The Indian Government’s latest offering to boost ‘development’ and bolster the entire ‘ease of doing business’ model, the latest CRZ Notifications have come through apparently without the mandatory consultations that precede the finalisation of any ‘draft’ notification. The environment-conscious judiciary across the nation has been actively pulling up state bodies for failure to act. A case in point being: The High Court of Bombay at Goa which has been coming down heavily on the state’s coastal village panchayats for structures built in violation of CRZ notification 1991. Till 2015, only 114 illegal structures had been demolished against a total of 6,983. While the Goa government tries to regularise illegal structures which will now, arguably, fall within the ambit of the new legislation, it faces an impediment in the form of a Public Interest Litigation filed challenging the notification before the High Court. Litigant Shetye insists that since the authorities didn’t grant a hearing to stakeholders and, concurrently, didn’t pass reasoned orders, it violated Article 21 and Article 14 of the Indian Constitution. It has hence directly attacked the “fundamental rights of the citizens and litigants from Goa who fight the issues”. The matter is scheduled to be heard on January 29, 2019. Meanwhile, in Mumbai, India’s financial capital, developers are enthralled with the prospects of getting floor space index (FSI) as high as up to 3 for the island city. Politically, the easiest way to garner public support is to back any activity with ‘development’ and ‘public good’. What happens is that the surge of ultra-local sentiments almost always blur reason at least till it gets too late to rectify. 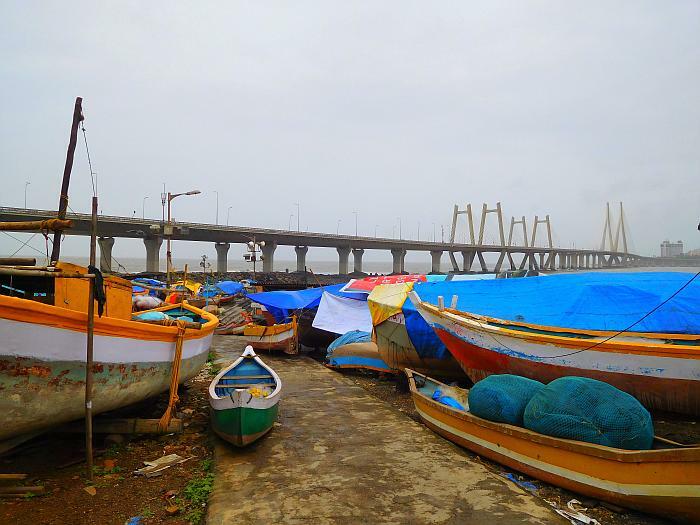 With the flow of the moment, in 2017, Environment Minister Ramdas Kadam had pointed out that the CRZ limit needed to be revised so that the state would be able to carry out the string of coastal infrastructure projects that were being hampered. While the contention that CRZ stalled infrastructure projects paved the way for the clearance of the notifications, it was the stark absence of consultations with stakeholders and the Civil Society, compounded with the speedy influx of developmental works undertaken by developers in and around Mumbai that made the move look suspect and motivated. Even a lot of South Mumbai’s pagdi residents, living in landlord-owned buildings covered by the Maharashtra Rent Control Act, and those in Cooperative Housing Societies have now begun holding urgent Special General Body Meetings to garner support from members to invite developers to re-develop their properties in view of the new, relaxed CRZ notifications which along with the altered Mumbai’s Development Plan 2034 provides them new, bigger homes and profit to boot. About 10 kms away from Mumbai, lies an environmentally-fragile Elephanta Island which has recently obtained power after 70 years. And, along with power has arrived the change in its CRZ status last year to CRZ-II (Urban), swiftly escalating the socio-cultural status of its three villages and now, the new CRZ Notification 2018 that has the 1,200 islanders in a race to ‘develop’ the island with hotels and resorts all around the fragile borders of the island. They’re cutting the very branch they’re sitting on but how does it matter. And, why not. The law permits them from doing so now. With climate change affecting the world drastically, a developer lobby’s attempt to ‘develop’ India disproportionately while dodging laid-down norms could make the prospect of dealing with realty seem easy and lucrative. It’s the living in India with the risk of coastal floods, structural collapses and the compromised quality of life that will get difficult. A version of this article first appeared in print here. Support The Draft by sharing this story.